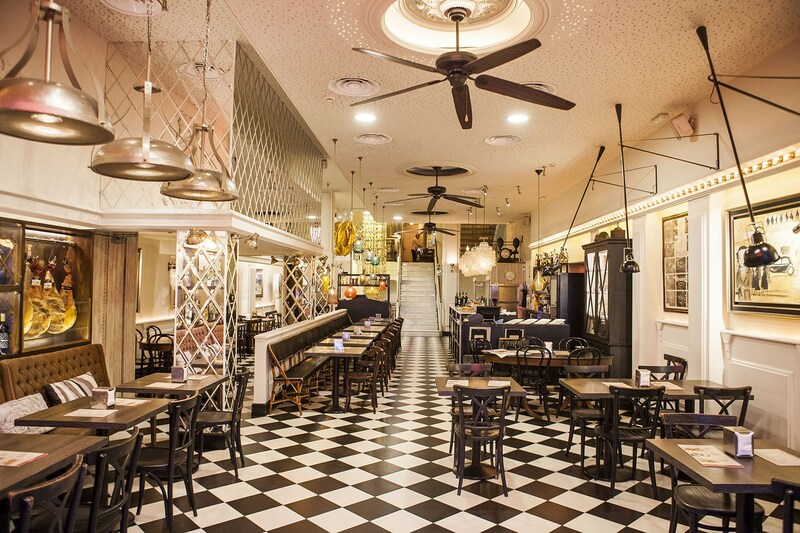 Since 1926 this iconic Restaurant has put light and colour to the Ramblas of Barcelona. Next to Plaça Catalunya, its strategic location in front of the mythical Font de Canaletes made life testimony of Barcelona for almost nine decades of history. It is thanks to a collective project of illustrators who recreate, using nine murals, the most important events of the city as a permanent exhibition. The home breathes a deco and modern environment, with a warm and quiet atmosphere that dates back to the 30s. The Cellar lounge, downstairs, takes us to the typical Catalan wine cellar. We propose a Mediterranean simple and classic cuisine, with fresh and selected products. Years of experience have made rice and tapas in our flagship products, all accompanied by a wine list well chosen and of great quality.